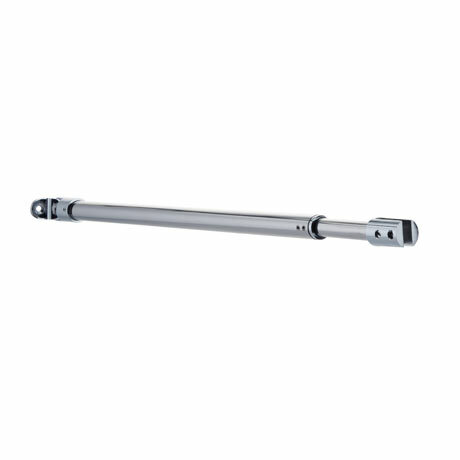 A stylish chrome wet room screen support arm; glass to ceiling support arms are recommended to stabilise glass panels used in showers and wet rooms. Longer panels benefit greatly from support arms. Can be reduced in length to fit required wetroom screen.